A traditional Victorian styled scroll lever handle on a plain rectangular backplate. 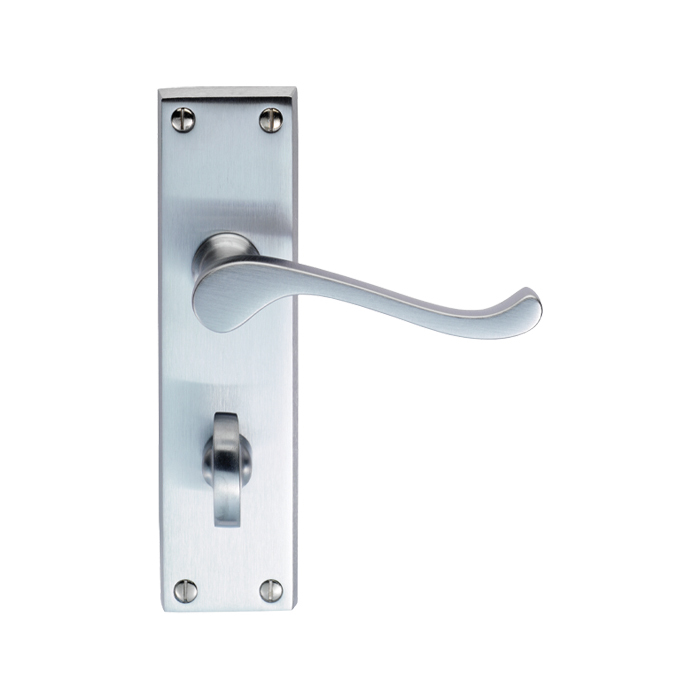 A classic scroll lever with its clean and simple lines conveying its traditional heritage. Graceful and elegant. 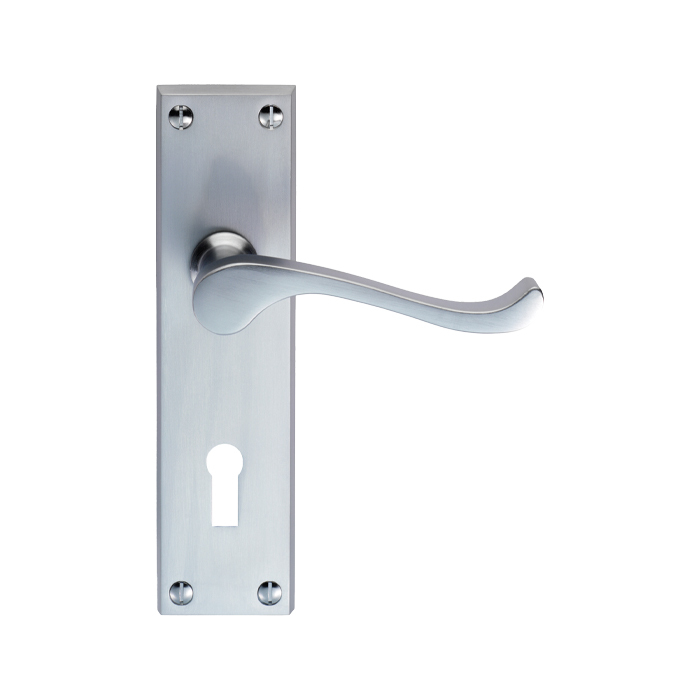 Available in Lock (Standard or Euro), Latch (Standard or Sweedor), or Bathroom versions and 3 finishes. A popular contract choice.